I love rediscovering great songs. 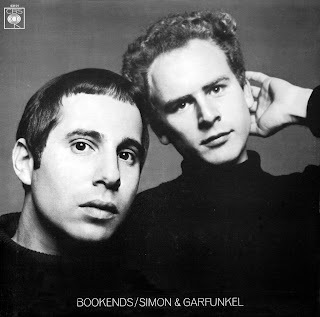 Listening once again to the song “America” written by Paul Simon, and performed by Simon and Garfunkel, I was struck by the genius of this song. The chord structures, time signatures, and poetry are beautiful. It paints stunning pictures in my mind. The song tells a story of two young people finding their way in the world. It captures the angst of a whole generation of people in the 1960s and 70s. There is the optimism of youth and the emptiness that seems to stem from a generation not knowing who they are or for what purpose they exist. Paul Simon was asking good questions about life. I wonder if he ever found his answers. This blog will give you some general knowledge of the basic plot line of the movie La La Land. My wife, Maureen, and I recently went to see the movie La La Land and I thoroughly enjoyed the movie. They had me from the first scene where they were singing on the freeway. I love musicals. But, the message of the movie is a message that is very much opposed to that of John 15. At one point in the movie, Mia (the leading lady) says to Sebastian (the leading man), “I’m always gonna love you” and Sebastian responds with “I’m always gonna love you too.” But by the end of the movie, each of them has pursued their own dream; and the dreams they have pursued have left no room for the person they claim to love. Did I just give you a bit of a spoiler? I doubt it. When we think about it, isn’t that one of the main messages of many of our movies and television series? You probably could have guessed the plot of this story. Television and movies tell you that the most important thing in life is to follow your own dream. Jesus tells you in John 15 that we are to love one another and create space for others in our lives. Jesus calls us friends and sets the example for us of how we are to treat one another as spiritual friends. We are to love each other with a selfless love that puts aside our own lives, or maybe our own ambitions, for the sake of helping others. You see, if it weren’t for these words of Jesus found here in John 15 (and several other places), we could live our lives in isolation, seeking to read our Bible daily and develop our relationship with God. But Jesus is saying something else. He is saying, the only way that we truly enter into friendship with God is by the grace of community. We must have, and we must be, spiritual friends. Let us think of ways to motivate one another to acts of love and good works. And let us not neglect our meeting together, as some people do, but encourage one another ... Hebrews 10:24, 25. The key is finding ways to connect with one another, motivate one another, and encourage one another. The goal is acts of love and good works. Dennis Venema, Ph.D., gave an exceptional lecture at Ambrose University on Friday, February 3, 2017. The event was sponsored by the Canadian Scientific and Christian Affiliation of Calgary, Ambrose University, and the Templeton Foundation. What follows is a collection of thoughts inspired by the cold, snowy evening, and the warm engaging crowd. Venema, a geneticist at Trinity Western University, who studies cell surface proteins in the wings of fruit flies, began by referencing the words of Thomas á Kempis, “There is no creature so small and abject, that it representeth not the goodness of God” before leading the crowd of approximately 100 people through a tour of major scientific evidence supporting evolutionary creation. 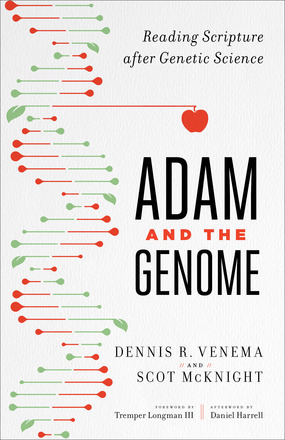 He drew heavily from his recent book, Adam and the Genome: Reading Scripture After Genetic Science. The book, published by Brazos Press and available on Amazon.ca is co-authored by Scott McKnight and offers both a scientific and theological perspective on Adam and genomic studies. I look forward to reading the contributions of both authors. Venema shared evidence of evolution from such varied sciences as genetics, physiology, fossil records, and embryology. Scientific results from each discipline were brought to bear upon the evidence that points to the fact that the ancestors of whales and other water-dwelling mammals were land-dwelling quadrupeds. After showing further evidence in other systems and other animals, Venema made the statement that evolution is a well-tested explanatory framework, supported by a large body of experimental evidence, that makes accurate predictions; furthermore, evolution has not yet been shown to be false by experimentation; nothing makes sense in biology except in the light of evolution; and evolution is the most foundational theory in biology. One of the highlights of the lecture was when Venema compared the changes that accrue in a language over time to the physical changes in the population of a species over time. Evolution involves changes in average characteristics in the overall population of a species rather than changes that occur in an individual. He reminded his audience that it is important to stay focussed on populations rather than individuals when assessing evolutionary change. In the same way, language usage in a population changes over time. Venema showed one verse from the Gospel of John in six forms as it changed over time. He started with the West Saxon form (around 849 CE), followed by the Wycliffe version, Tyndale version, 1611 King James Version, the Cambridge King James Version, and lastly the contemporary New International Version of the Bible to show how language changes in a very short period. He made the point that evolutionary change is similar but much slower. Having established that nothing in biology makes sense without evolution, Venema then went on to show evidence that humans are also part of the evolutionary process. Multiple sources of genetic evidence such as chromosomal structure, and pseudogenes in both humans and apes, suggest that 4 to 6 million years ago we shared a common ancestor with Pan troglodytes (chimpanzees). Not only have humans descended from other species, contemporary genetic evidence (population genetics and recombination frequencies) indicates that humans of today descended from a population of approximately 10,000 humans that lived approximately 200,000 years ago. Of course, all this genetic and scientific evidence poses questions related to our common understandings of Adam, sin, death, and the Fall. Venema pointed out that when we see such apparent conflict, we must consider that this may be due to deficits in our science or deficits in our theology and work to find a way of better understanding both. 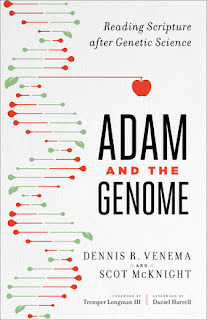 Venema worked with Scott McKnight in publishing the book Adam and the Genome because he wanted to work with a New Testament scholar as they considered the implications of reading scripture after genetic science. In the theological realm, Venema readily admits that he is not the expert, McKnight does most of the theological analysis. One of the key questions in the New Testament is our understanding of the Apostle Paul's words when he speaks of Adam. Venema and McKnight’s book suggests that Paul was part of a long history of intertestamental writers who wrote about Adam between the time of Malachi and Matthew and used the concept of Adam for theological arguments. Other important questions will relate to Augustine, and others, also contributed to our contemporary theology of what God means by saying that creation is “good.” McKnight and others are now asking questions about such words. Does “good” mean “perfect?” Does it mean that there was no death? How do we understand sin coming into the world? What does the Bible mean when it speaks of humans made in the image of God? Each of these questions demands new consideration in light of contemporary genetic science. Such vast genetic information has only been available to philosophers, scientists, and theologians for a few decades. Our theology now needs to keep pace with our scientific findings.